It’s hard for me to really pick a photo that says “warmth.” Perspective on cold is different in Southern California, where winters approach but rarely drop below freezing, and the winter rains make December through April the greenest months of the year. So we don’t use fires much, and flowers and greenery make me think of the cool winter/spring weather instead of the hot, dry, brown summers. Even beaches make me think of late afternoon ocean breezes. 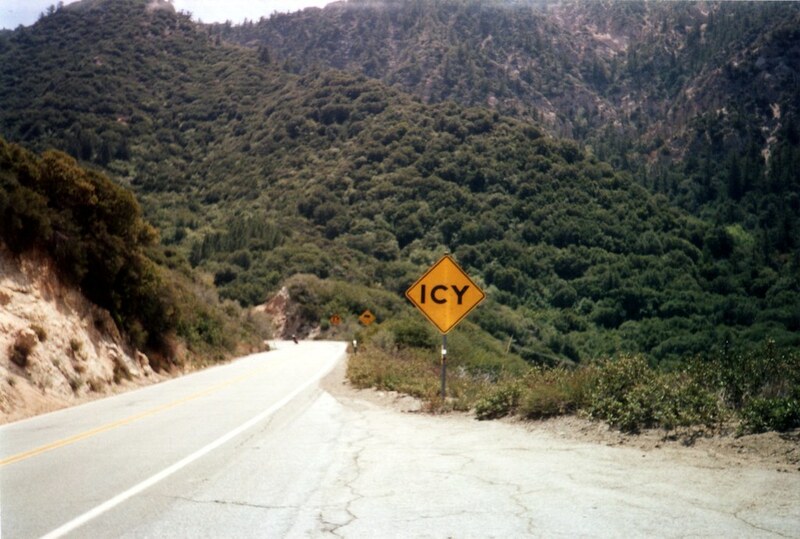 So I thought I’d pull out a shot for irony: An “Icy” warning sign somewhere in the San Gabriel Mountains, seen during the warmth of spring…when it most definitely isn’t icy! Today is moving day. 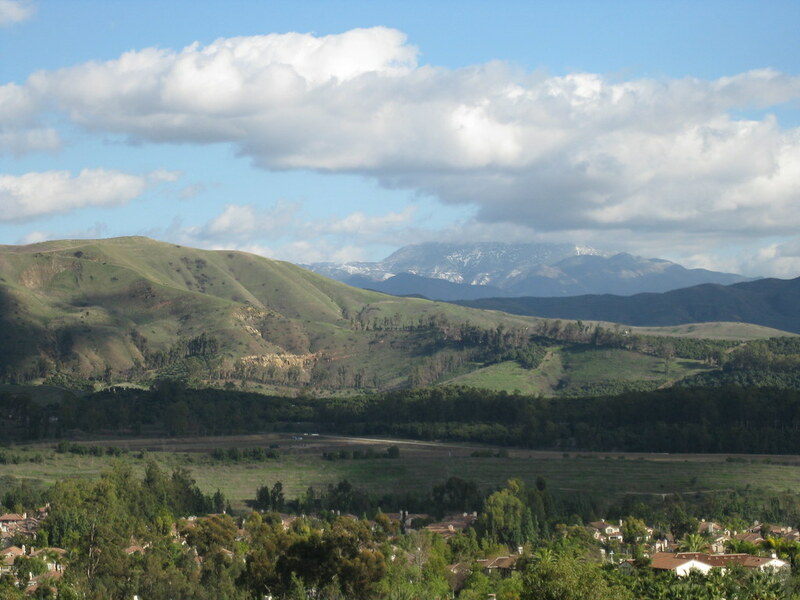 I’ve spent most of my life in Orange County, where the eastern skyline (when not blocked by trees and buildings) is dominated by the Santa Ana Mountains. 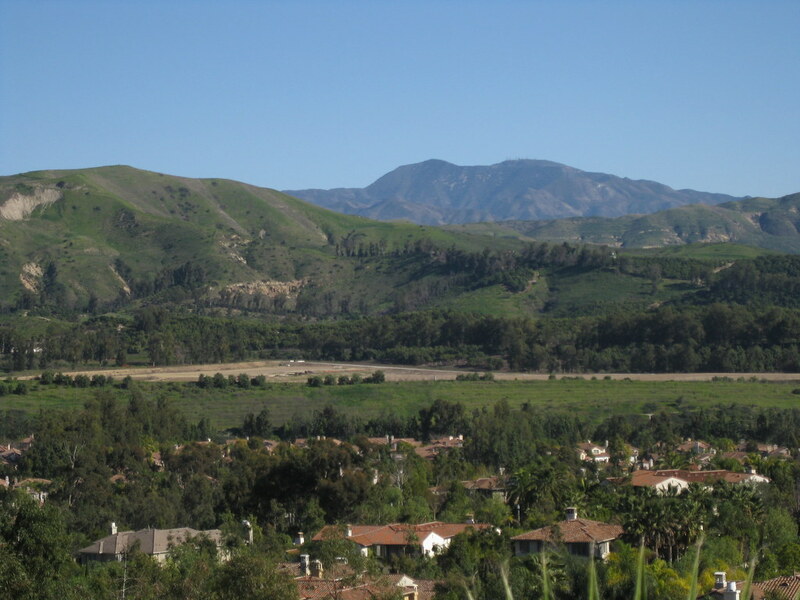 The two highest peaks, Santiago Peak and Modjeska Peak, are known locally as Saddleback because of the shape they form together. 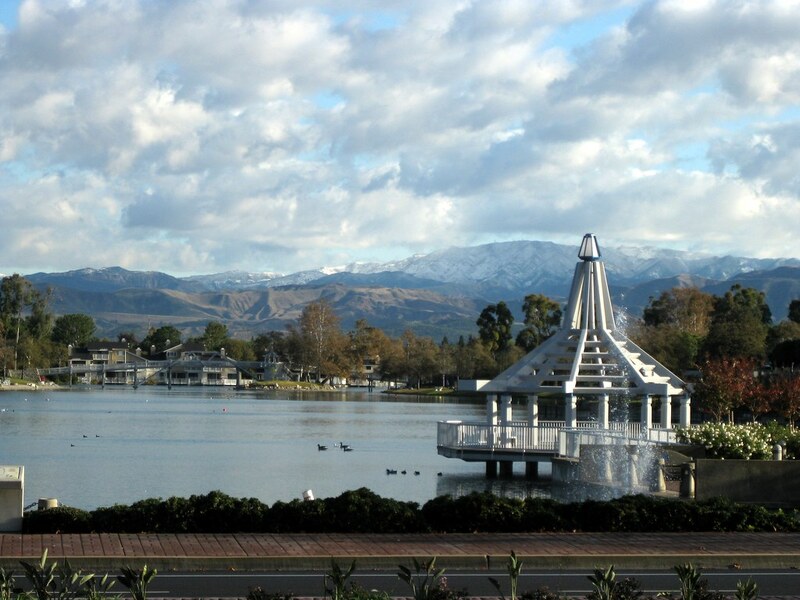 We’re not moving far — just to the South Bay — but it’s going to be weird not seeing this landmark on a day-to-day (well, non-smoggy day-to-day) basis. You can see it from that far away, but it takes a very clear horizon and a very clear sky. 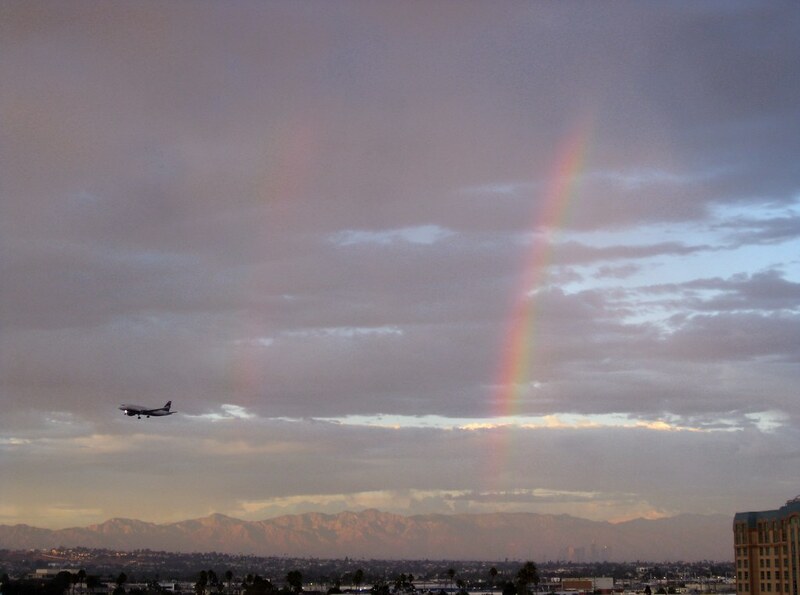 On a good day I can just make out the silhouette from LAX. This shot was taken in Lemon Heights, where you can (usually) see a lot more than just the silhouette. 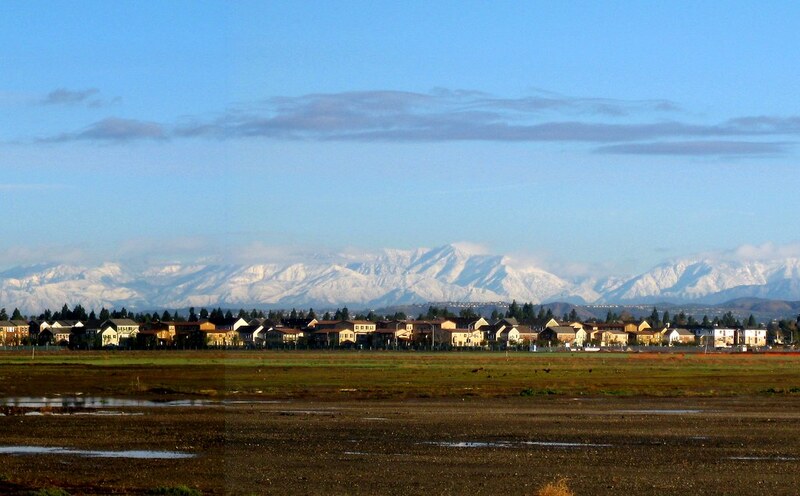 Snowy Saddleback from Tustin Hills: January 2010, originally uploaded by Kelson. 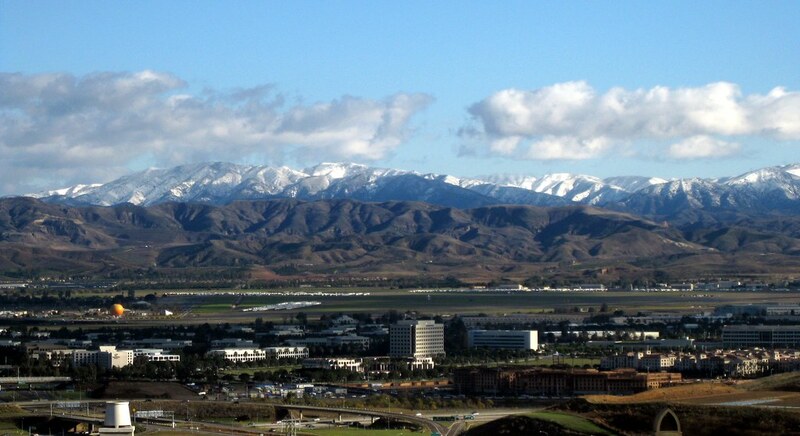 Taken last Saturday from Lemon Heights in the foothills above Tustin, overlooking Peters Canyon.